Thanks for the review MudCamper and glad you like it! 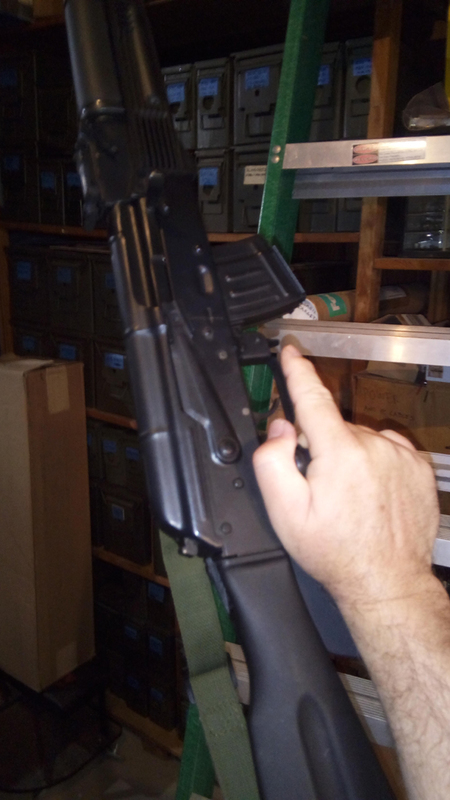 Last edited by comifornia:(; 01-20-2019 at 11:26 PM..
Great product OP - how does the AK grip wrap with your thumb shelf compare to the Strike Industries simple grip with your thumb shelf compare? 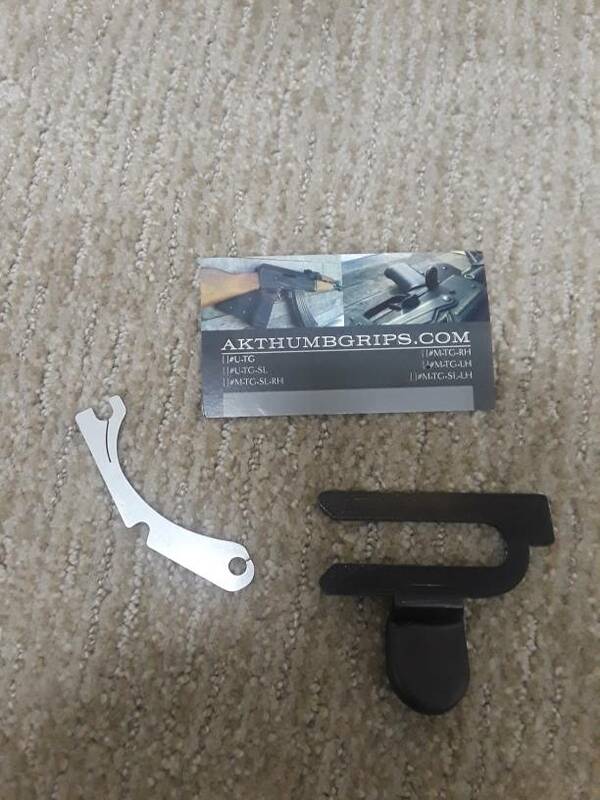 Any pros/cons regarding natural firing grip, comfort, maneuverability between using a grip wrap vs Stike Industry simple grip along with your AK thumb rest product? - I have smaller hands btw, if it matters..
A grip wrap and the Strike Simple Grip have similar shape and hold. So the Universal Thumb Grip works the same. As for, will it fit, I so no reason why it wouldn't. And I also have smaller hands. Not a problem. 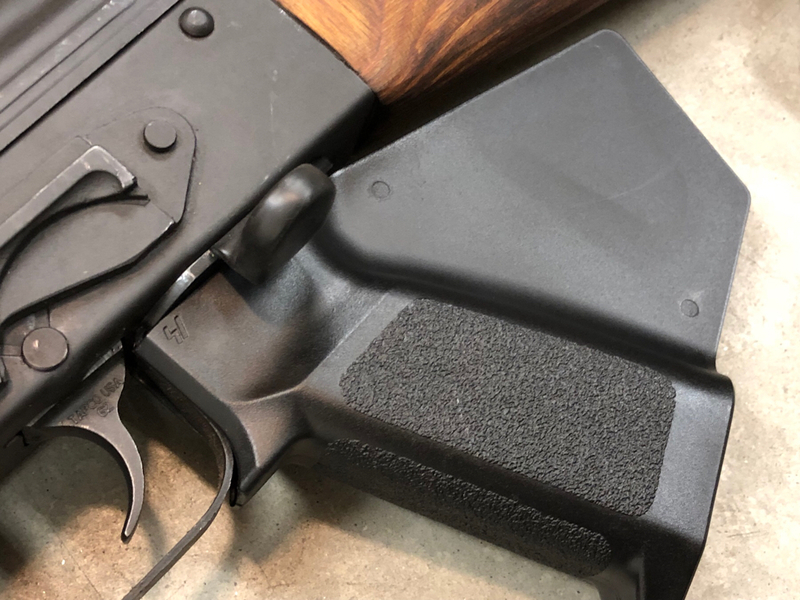 The Strike AK simple grip has a nice flat part here for your middle finger to push up against(in combination with downward pressure from the thumb grip) when controlling rifle for mag changes or charging the bolt carrier. The grip also has a good thickness to it. I believe Strike industries designed it that way knowing you'd need to push up to help control & stabilize the rifle. 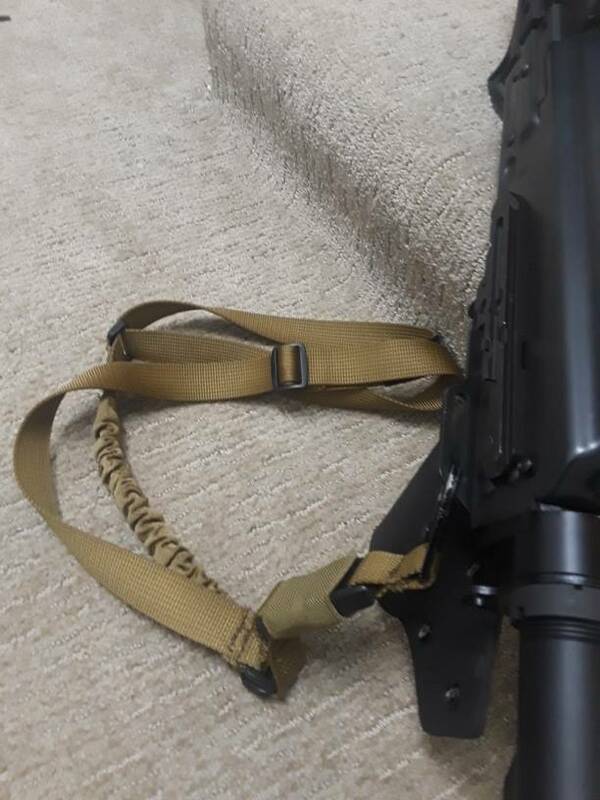 Here is the same area with a standard AK grip with a wrap on it. Also I like that the fin is right down the center line. This helps put your hand in the correct position in my opinion. You want to keep your palm from going past the center line to maximize comfort( Larger hands might have to go past the center line). I found this also true with the Exile Machine grip on the AR15. It also has a good flat area for your middle finger to push up against even with a wrap on it. 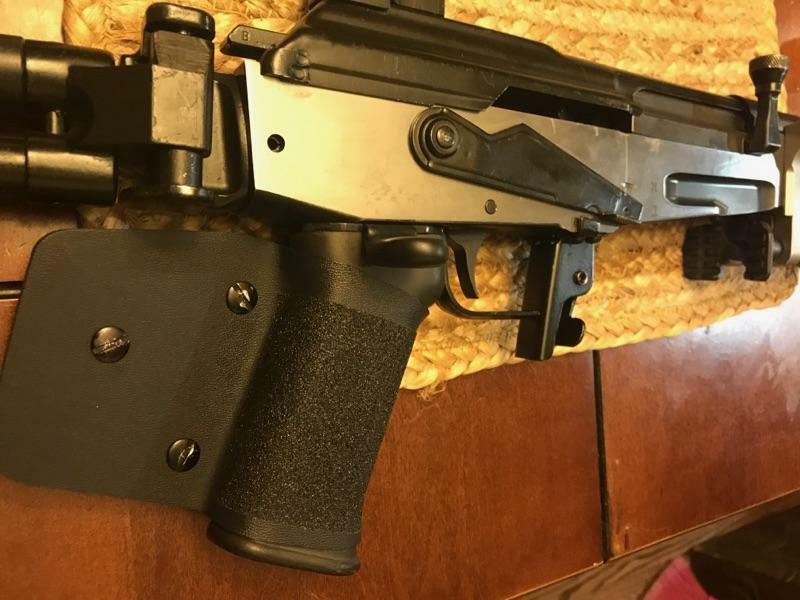 The Magpul grip is nice and thick. Next is a Magpul moe plus (rubber over mold) with a clear fin screwed on the side. It also has the nice flat area for your middle finger to push up against. That looks like a great way to comply and keep the rifle a functional weapon. Looks great. Nice make me want to get a AK now, got rid of mine couldn't stand using one of them grips cause of the thumb placement. These are comfortable and feel fine to me no problem shooting with them. 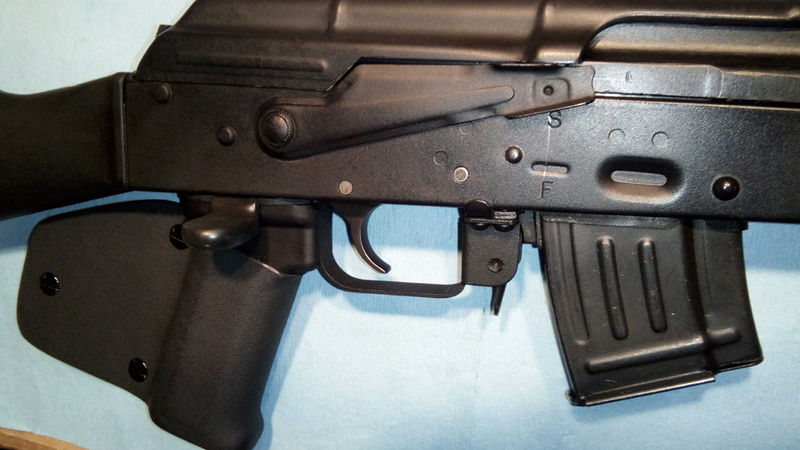 Next is a standard AK grip with a fin screwed in on the side. Even this one being the slimmest of the grips is still comfortable. Lastly I would recommend sandpaper grip tape on all grips with a thumb rest/grip even the Exile machine grip for AR's. It really helps lock your hand in place. 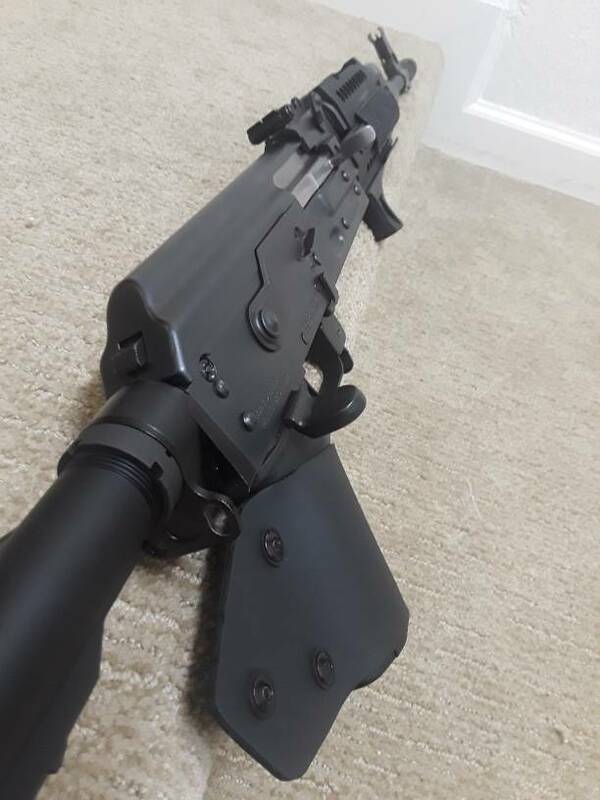 I added a couple strips to my strike AK simple grip and the magpul wrap. Last edited by comifornia:(; 04-14-2018 at 8:54 AM.. Excellent detailed write up, thanks so much. This is the feedback details I was looking for. I’m certain your write up will help many others on a great product design as well. Just making sure this can be switched on the other side for leftys? My thumb grip works fine on the other side. WASR-10 & AK-74 were no problem. Excellent product. Last edited by joefrank64k; 04-14-2018 at 10:30 AM.. 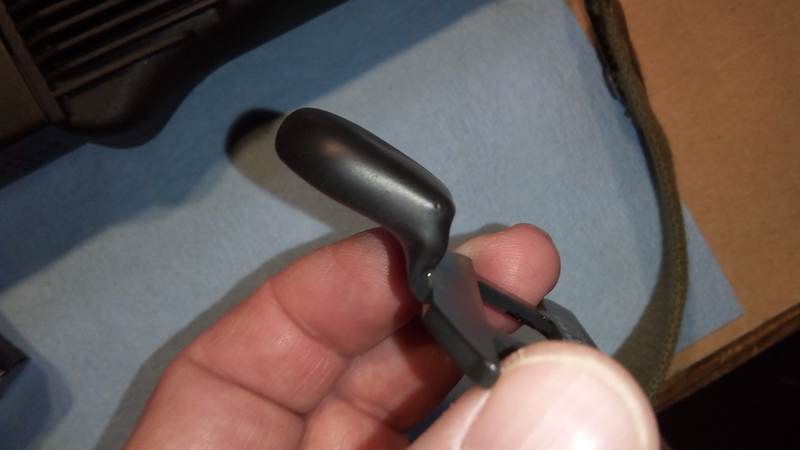 Yes the universal thumb grip is reversible for leftys. 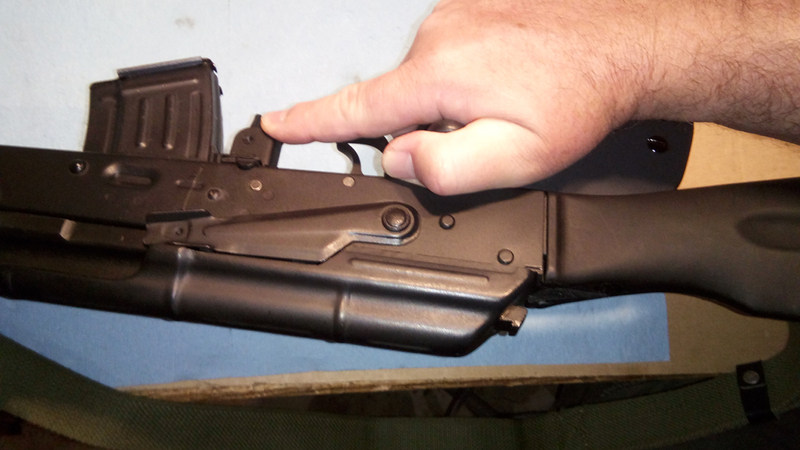 Also have a left hand version for milled & Yugo Ak's with a riveted grip nut. Also an installation tip for loose grip nuts. Stuff some aluminum foil inside the receiver to hold the grip nut steady as you screw in the grip screw. 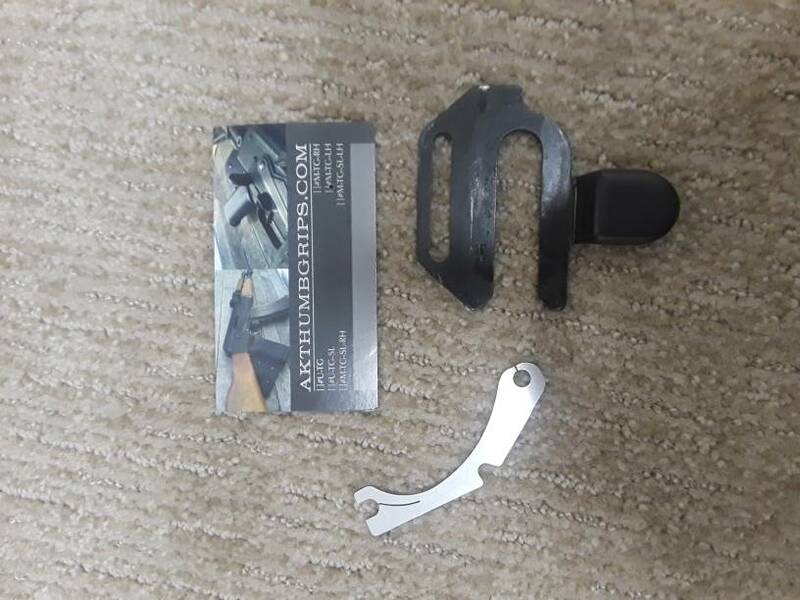 Milled AK thumb grip with sling loop(right handed) are almost ready. Just need to add rubber overmold on the thumb. 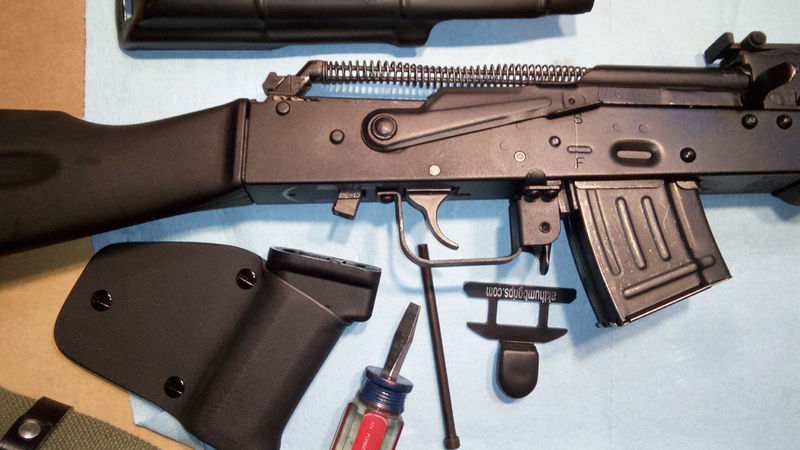 Universal AK thumb grip with sling loop is now in stock. Milled/Yugo thumb grip with sling loop(right handed) is also now in stock. Last edited by comifornia:(; 06-09-2018 at 11:38 PM..
Galil thumb grips now available for the Galil arm/ar/sar. Is that receiver stainless steel or is it a finish?? Never seen one like that. It's raw steel that was wet sanded/polished to remove all the toolmarks before the laser work. I always recommend people to go test fire their new builds before we put the final finish on it. What is the most popular finish requested? I like the standard bluing on my Chinese rifles. Anything else can be done elsewhere. 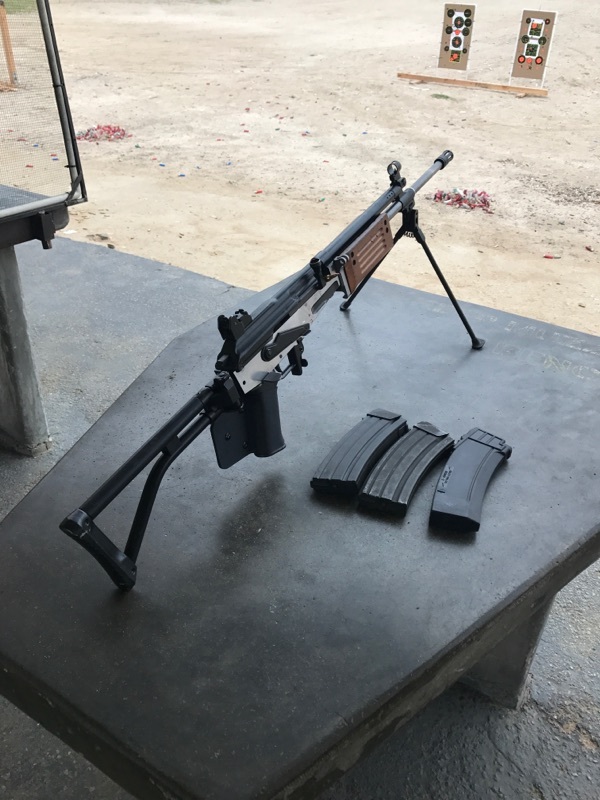 I believe that Galil was built by you sir. Nice work! I bought a few of these for my AKs and they definitely do the trick. If you have big hands like me you can even put them on upside down so the shelf sits a little higher. Last edited by comifornia:(; 10-06-2018 at 5:28 PM.. Need to look at this later... looks good at first glance! That's smart Randall on shooting before the final finish, to make sure everything's right. Same reason you build a motorcycle or car and test ride/drive it, then tear it back apart to do the final finishing. Thanks for the offer and I appreciate the outstanding customer service, but the grip feels perfect the way I have it now so I'll just leave it. I just received a six pack of thumbgrips. They work great! Installed them on my Yugos, milled Arsenal, and some stamped receivers. Awesome product and great idea! Thank you. Wow. Great product!. Tagged for future buying. Thanks! I'm sure you'll like it. 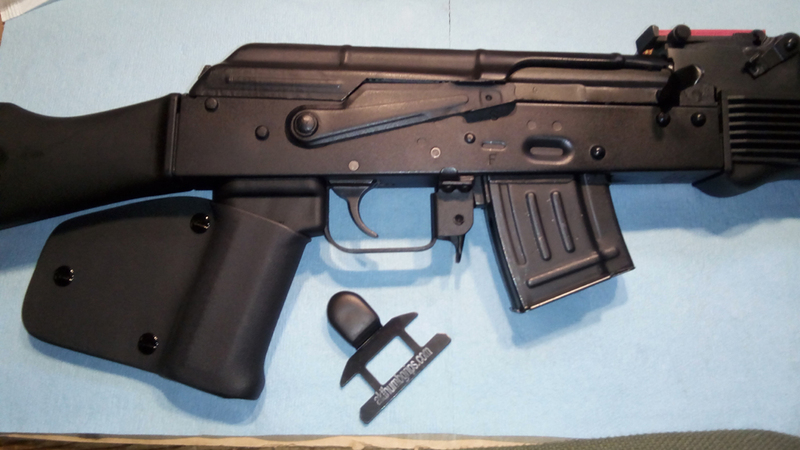 I'm happy with my yugo ak thumb rest and retaining plate. He got both sides for thumb rest for lefties and righties with sling mouth. 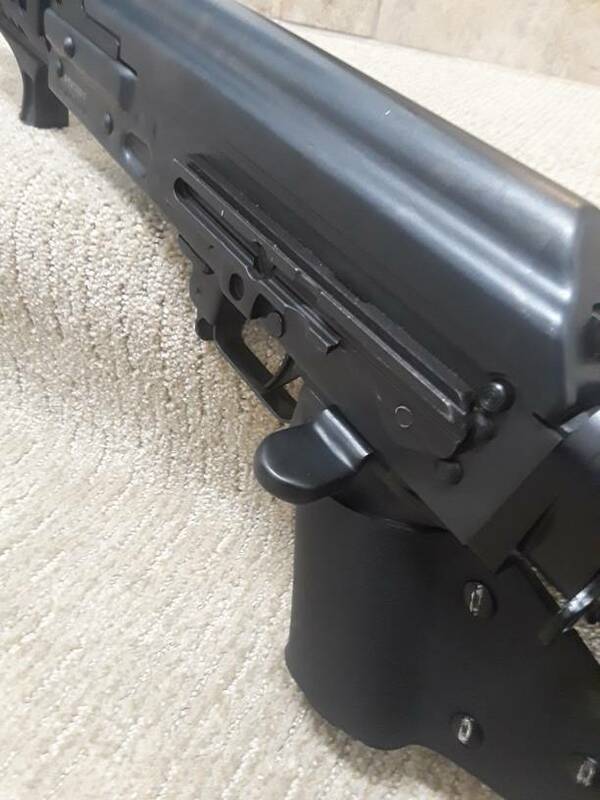 I'm happy with my yugo ak thumb rest and retaining plate. Thanks for the feedback & pics Russlan the yugo is looking sharp!